On the eve of the ‘beast from the east’, it was a more a case of ‘best from the west’ as The LYNNeS teamed up to bring a blast of Canadian country-folk to the shores of the old country. You do not want to mention the cold too loudly in the company of a couple of Ottawa residents, but they did everything in their midst to warm the hearts of a Birmingham crowd fine-tuned in seeking out distinguished music. Maybe the confab to generate the name that would herald Lynne Hanson and Lynn Miles as a recording duo did not last too long. However, on the evidence presented this evening, the legacy is set to hang around for quite a while. The two singer-songwriters are an amalgam of comparisons and contrasts, yet so united when it all boils down to penning the dedicated song. Before this collaboration formalised, song co-writes had accrued and it was a natural step to wrap a bunch of them into a full record. 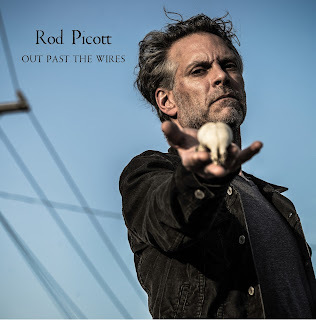 HEARTBREAK SONG FOR THE RADIO emerged as the accumulation of their efforts and it was a privilege to listen to most of this album in the confines of the Kitchen Garden in pure unfiltered attentive mode. The pair complemented each other serenely on stage, with the duality of analogue and digital being an apt suggestion from the artists themselves. Lynne Hanson is the upfront mover of the duo, using all the skills of her perceptive approach to overseas touring and innovative interaction in getting her music to market. Indeed, Lynne has toured Europe on multiple occasions in recent years and built a decent following since heard first as Gretchen Peters’ opening act around a decade ago. Hugely acclaimed, and viewed by many as legendary, Lynn Miles has a pedigree to tip your hat to, with Junos, Grammys and a multitude of successful album releases to her name. There was no mistaking the poise and class on show this evening, fully exemplified in the charisma, vocals and magnitude of the gift-wrapped song. Whether in vocal harmony, the creation of valuable space or blending country twang from the Gretsch with quintessential acoustic folk, the art of collaboration was out in full force. The nuances, craft and spirit of the new album did not require the audience to hold prior knowledge as the elegance of each song drifted out with immediate ease. Starting with ‘Recipe for Disaster’ and ripping through another seven tracks including the impressive ‘Dark Waltz’, the riveting ‘Blame it on the Devil’ and the precisely synchronized title number, the songs emanated an appeal of seemingly being around for ages. Of course, this was exactly the case for some of the solo material Lynn Miles decided to share on the evening. The nineties were revisited for a rendition of ‘You Don’t Love me Anymore’ and the breadth of association and influential appeal was laid out for all to hear in the gorgeous ‘Black Flowers’. ‘More’ and ‘I Give Up’ completed the solo quartet, to briefly sample what the fuss is all about. Without any hint of competition, Lynne Hanson rose to the occasion when sharing her songs. The whole style and demeanour was a touch toned down than when she fires on all cylinders with the band, leaving songs like ‘River of Sand’, ‘Broken with You’ and ‘Cecil Hotel’ to shed more light on the intricacies of the writer. The choice of ‘Got to Have Rain’ had serious precedence to be the closing track on the evening and our two protagonists took the hard to resist route of unplugging and capturing the true essence of the intimate gig. Across the pair of sets, which ran the show time close to a couple of hours, there was an unbroken string of outstanding songs filling the venue with an air of mutual affirmation. In protracting the wares of The LYNNeS with such a large degree of panache, Lynne Hanson and Lynn Miles have created a mini entity that brims with high quality. Beauty can advance from different angles and tonight it emerged starkly to seal an unblemished parade of live music. Music sans frontiers. No apology for the cross language fertilisation as this is symbolic to the way borders and barriers erode in the music of Gem Andrews. Perhaps it is indicative to an artist calling Liverpool, Newcastle, Vancouver and Berlin periodically their home that wide influences are soaked up. Throw into the mix echoes of folk and country alongside a tentative alternative streak, and you delve deeper into the eclectic nature of NORTH, which makes you take note of Gem Andrews as a recording artist. Throughout the half hour of its tenure, not an inch of the canvas remains untouched thus creating a record rich in accomplishment. NORTH is the third album from Berlin-based Gem and the follow up to the well-received VANCOUVER that surfaced to acclaim in 2016. You should start to get the drift that both titles saunter into geographical territory, with some imagination required to linking in her debut album SCATTER. Relevant or not, surroundings have probably played a major part in forming the theme of her music. Words and associations aside, and a re-enforced focus on the new release, each song makes an incisive cut on the record ensuring the listener’s attention is caught, retained and thoroughly nourished. An articulate approach to the song writing will resonate with lyric junkies, while a rounded production makes optimum use of the instruments at the band’s disposal. A mass of catchy chorus features does the album no harm as well as Gem’s alluring folk-infused vocal style. Further folk features embed in tracks such as ‘Bare’ and ‘Feather and Skin’, where respectively fiddle and piano take hold to give the sound an earthy feel. A heavy dose of twang lifts the album into a country sphere in the upbeat number ‘Medicate’, while a waltz-like tempo to ‘Letter’ and ‘Sing Your Song’ also take the sound in a westward direction. The latter two pieces prime the listener in the opening slots, with the redemptive theme of the first one showing the strength of the song writing. The writing resonates strongest in the rhetoric displayed in ‘Lungs’, a political piece not shying away from linking events of 1985 with today, sung with the fervour of somebody not afraid of wearing her heart in a digital footprint. Gem’s outlook has likely evolved, and taken further root, as she moved within progressive communities, where art often plays an important role in giving vital causes a voice. One selfish view is that we do not see enough of her on the UK’s singer-songwriter circuit, but good albums offer periodic compensation. NORTH is not the sole domain of Gem’s song writing as she strays into the work of others on three occasions, although these do not undermine her own compositions. A cover of Kate McGarringle’s ‘Come a Long Way’ probably seals a contemporary folk feel as the defining trait and harks back to the time she spent in Canada. The other two covers feature the work of the late poet Julia Darling among the writing credits, an artist synonymous with the North East. 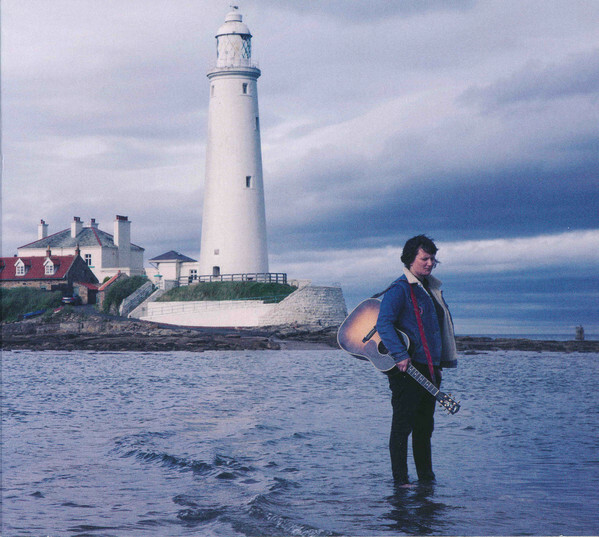 Sonically, ‘Two Lighthouses’ takes the sound in a more roots direction, while ‘Straight Lines’ backs up the country credentials. If you are seeking a simple acoustic number, then ‘Carole’ will oblige as we revert to songs penned solely by Gem, before the near omnipresent fiddle closes out. ‘Two by Two’ gets the eleventh and final track mention, probably implying that it still has some work to do to create similar waves to the stronger numbers. Wherein, resides the notion that this album is not one that you will totally grasp in the first few listens. Musically, it does the job early on, but there is so much more to discover when time is granted. NORTH gives Gem Andrews the ideal tool to plant deep roots into the spirited singer-songwriter network and provide a valuable voice to just causes. Where it takes her is likely down to fate, but an increased band of followers are sure to be not far away. The concept of duality switched from the art world to its distant creative cousin of folk and acoustic music as the Big Comfy Bookshop set about curating the latest Friday evening presentation. The city of Coventry provided a centrally located platform for two artists to share their contrasting perspectives, while colluding in the ultimate union of excellence. 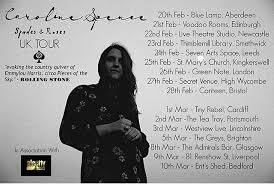 Heading south from Humberside was evocative singer-songwriter Katie Spencer, symbolising Hull’s second gift to Coventry in the last couple of months in addition to passing the City of Culture baton. Meeting Katie on neutral ground was London-based folk artist Kirsty Merryn expressing a versatile approach to the medium of traditional English music. Both artists are active movers on the upward trajectory of the career curve and ably represented by well-received CD releases last year, successful in reaching out to new listeners. They mirror the vibrancy of an independent scene that seeks ways to be forever innovative, and possess an acute talent to maintain a steep ascendancy. Their hour-long sets this evening created many post-gig talking points, with perhaps a spread to unite fans drifting into the scene from different angles, influences and preferences. Kirsty utilises piano as her instrument of choice and fires up a set of pristine vocal chords to spearhead a raft of traditionally leaning songs. There are archetypal facets to her stage presentation and a high degree of self-assurance to project a performer at ease with the direction of her music. This confidence extended to delivering the opening and closing songs of the set in unaccompanied mode. ‘Bring Up the Bodies’ and ‘The Birds are Drunk’ are both found on the SHE & I album; a record rich in original song writing as Kirsty set about telling the stories of historical female heroines. Like all good singer-songwriter nights, the informative segments painted an extended picture of the songs. While Katie also bared her own thoughts, influences and drivers, she plies an alternative route to song delivery, showing deft skills on the acoustic guitar and a vocal style blending into the mood of her songs. Katie revealed more about her roots in songs such as ‘East Coast Railroad’; random observant musings in ‘Too High Alone’ and legendary musicians who have struck a chord in covers of John Martyn’s ‘Hurt in Your Heart’ and Jackson C. Frank’s ‘Blues Run the Game’. The word ‘folk’ is far too constraining to define her music and a broad appeal crossing many virtual boundaries exists, albeit with a slightly left field alternative streak. Katie only treated folks to a single tune off her GOOD MORNING SKY EP, although it was a good one in ‘Can’t Resist the Road’. The wealth of original unrecorded material played suggests a full length and highly recommended release can't be too far into the future. In contrast, Kirsty was more forthright in sharing her recorded material with ‘The Fair Tea-Maker of Edgware Row’ (referring to the infamous Lady Emma Hamilton) and ‘Forfarshire’ (commemorating the heroic Grace Darling)’ joining further tracks in ‘Queen of the Mist’ and ‘An Evening at Home in Spiritual Séance’ (featuring the archangel Gabriel) from the album. Older songs from a previous record were played in the guise of ‘Winter in Ontario’ and ‘Constantine’, alongside an unrecorded number titled ‘The Wake’, which can be accessed via an online video. There was an obvious positioning difference between the two artists in terms of stature. Kirsty’s extended experience led to a fair amount of reflection, especially sharing anecdotes from her recent cathedral tour opening for Show of Hands. With this in mind, the future was barely touched , although a new song was introduced in ‘The Deep Wild Torrent’ and dipping into traditional song via a version of ‘The Outlandish Knight’ may suggest an exploratory move in this direction for upcoming projects. However, the future must surely be on the original front with so much song writing talent at her disposal. For Katie, the set was really all about the future; indeed a very bright one for someone just turned twenty-one. From recollection, songs such as ‘Hello Sun’, 'Drinking the Same Water', ‘You Came Like a Hurricane’ and ‘Spencer the Rover’ resonated from first listen and could be the cornerstones of a forthcoming release. There may have been those in attendance with different preferences along the lengthy folk and acoustic spectrum, but the option to savour the delights of both Kirsty Merryn and Katie Spencer was likely to be the most popular choice this evening. Nestling among the explicit contrasts was an implicit synergy that ultimately united dedicated followers of independent roots music. Directions may branch out, but memories of the roots entwining during one evening at the Big Comfy Bookshop are planted firmly. Unsure about the origin or even the mythical existence of the coined phrase ‘old punks turn country’, but it’s a good one and starts the engine when referring to duo Hope in High Water. Not too sure whether ‘old’ is the apt word to describe Josh Chandler Morris and Carly Slade, yet the sound they’ve morphed into ploughs a traditional furrow. One certainty is that the past in some form or another has strongly influenced their music, whether in redemptive song writing or framing a vocal style. Perhaps country is a too narrow window to open onto their music, although a fair proportion of the new material shared this evening had a sad song twang about it. Folk and blues also play a significant part as the wider roots world is captured in a subtle mix of sincere originals and incisive covers. A return to Birmingham’s Kitchen Garden was one of the last stops on an inaugural headline tour for this Milton Keynes based couple. They had previously supported Worry Dolls and a songwriter’s session at the venue. However, they were the main songwriters on show this evening and revelled in the opportunity to expand their set to over double the usual forty-five minutes. Bridged only by the obligatory mid performance break, the songs fell into three distinct camps: material off the NEVER SETTLE album, new unrecorded pieces and a celebration of some of the finest work that has had a profound impact upon them. Hope and High Water present themselves as the classic duo. A combination of shared duties in the vocal and song writing stakes, while a clear instrumental demarcation. The guitar playing of Josh and Carly’s banjo (occasionally joined by u-bass) came over as simple but effective, while providing the most satisfying of backdrops to some infectious melodies and thought provoking lyrics. There is a distinct contrast to their vocals, with a slightly bruised harshness to Josh’s, probably subject to the battering taken in the past. This refinement is perfectly tuned for the gruff Americana song and soaks up the intent. Carly has a far more expressive versatile style. These differences lead to a required adjustment when heading into close harmony territory and they increasingly blended really well as the evening proceeded. Frequently, solo vocal pieces took over, with a no finer example in the first half of the gig than Carly’s rendition of ‘She Cries’ from their album. NEVER SETTLE came out the middle of last year to positive reviews and tonight’s set featured inclusions such as ‘When Sorrow Calls’, ‘Who’s Gonna Hold Your Hold’ and ‘Time Shall Pass’. Like on the record, the latter opened proceedings and re-enforced comparisons drawn to Shovels and Rope. 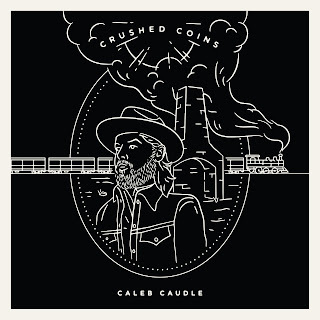 The new material sounded superb, a little more on the shadier country side, and should eventually surface once the usual obstacles of an independent release are overcome. Covers songs were inevitable to fill this expanded time, but when you turn to the work of Justin Townes Earle, a winner is going to emerge. 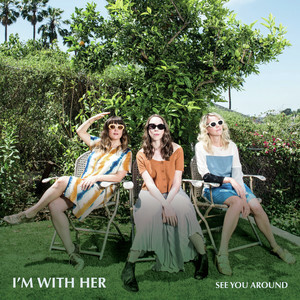 They supported Justin on a Bristol date last year and their version of ‘Ain’t Waitin’ was probably the pick of the bunch, marginally pipping Carly’s take on the song ‘Just a Closer Walk’ inspired by the Avett Brothers’ version. Josh’s early schooling (pre-punk) in the blues was featured in the Elmore James song ‘Anna Lee’, while most in the room were suitably acquainted with Leadbelly’s ‘In the Pines’. A strong feature of Hope in High Water is the substantial depth to their musical approach. Emotive personal experiences play a large part, and a high degree of therapy is reaped. Back-story narrative is candidly displayed, but they are not too aloof to suggest that each and every one of us has an important one as well. They are clearly embedded in the soul of music and whatever inspired this calling is proving a wise path to follow. Most important they make music that greatly resonates with an expanding fan base, many of whom are deeply into the roots that form their sound. Josh Chandler Morris and Carly Slade have a valuable entity in Hope in High Water and a well of creative endeavour to fuel a meaningful journey long into the future. The Kitchen Garden headline show of 2018 may well become a major staging post on this journey. Sam Baker is an extraordinary artist, funnelling his art down down the most acute of channels. In response to a unique style, a degree of adjustment is desirable to tune into its wavelength. While occasional crackles still flicker from time to time, those with the dial in the right place have a pure hypnotic experience delivered. An air of duality creates from the mellow relaxing rhythmic tones of electric guitar coupled with incisive percussion, whilst being aligned to a mental alertness required to fathom the lyrical content. All this cast under the spell of a slightly impish persona using the hidden crevices of dark Americana to spill out a poetic soul. It is not uncommon for a Texan troubadour to sprinkle a golden drop of song writing dust on the intimate confines of the Kitchen Garden and few in this sold out audience would deny Sam Baker being the latest artist to accomplish this feet. For this latest UK tour, Mike Meadows joined on assorted percussion to make it a duo presentation. The musical upgrade on a previously seen solo show was a stark improvement. The opportunity to spar with somebody other than members of the audience was too good to miss for Sam, who appeared to sink more into a Southern caricature as the show meandered through its 90+ minute single set. Shades of Truman Capote came across as the audience was regular toyed with and this is only just the start of the literature analogies. Mixing articulate content with a poetic beat adorns song after song, heavily featuring numbers that formed the latest album LAND OF DOUBT. The most poignant moment of any Sam Baker show is always likely to be the moment when he gently strums along to the story of the 1986 Peruvian terror incident. Blessings are counted, perhaps to the extent that reconstruction led to a creative release. One that never ceases to find new outlets such as adding the canvas to the notebook and the re-adjusted guitar playing. By the time this moment arrives, the enthralled audience are besotted by each beat and word leading to a grateful finale sealed with the signature sign off ‘Go in Peace’. Memorable moments ensued this evening through songs such as ‘Moses in the Reeds’, ‘Sweet Kind of Blue’, ‘Ditch’ and ‘Isn’t That Great’. Maybe the ultimate memorable moment though was the inner smugness of meeting the mesmeric waves head on and understanding every sinew of what is transmitted from this idiosyncratic performer. Even when the virtual set list strayed into the territory of Jon Stewart and Paul Simon, forgiveness that they effectively elbowed out a Sam Baker composition was offered. Maybe Sam Baker is ripened more for the Americana aficionado bred on Kerouac, Tom Russell and the dark underbelly of a continent than bashing out a few chords on the banjo. A certain mindset, unafraid from working the cogs, is a useful ally to ensure the riches are suitably mined. An air of artistic charisma soaks deep into the music of Sam Baker and the live version so effortlessly presented in Birmingham this evening etched another notch on the legendary post of a Texan troubadour sparked by the wisdom of the deeply excavated song. Underrated is not quite the right word to describe Beth Nielsen Chapman, but sometimes complacency can sneak in to allow her song writing skills to flicker only in the distance. If any remnants of guilt apply to this then the release of her brand new album HEARTS OF GLASS firmly presses the reset button. Song writing music has flown from Beth’s pen for well over thirty years, although often these songs have found extended fame in the catalogues of others. Her previous album UNCOVERED was a timely reminder that some of these compositions needed refreshing to get its writer’s recorded perspective. The new record is largely along similar lines comprising a mixture of new and old songs with a numerical leaning towards the latter. 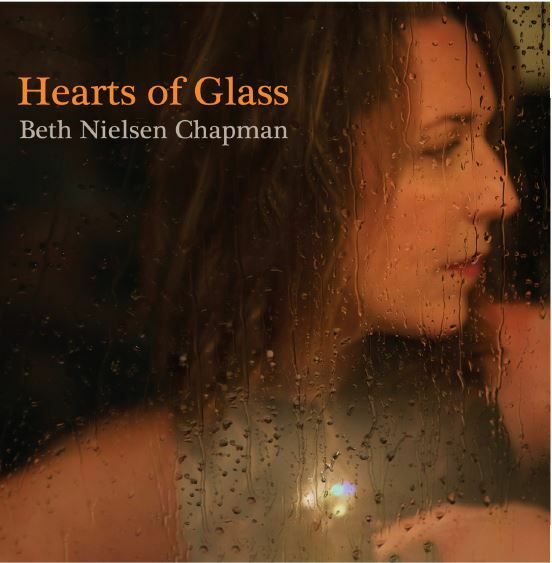 Although Beth Nielsen Chapman has been tagged within the country community for much of her career, further fuelled by a Nashville base, her style is fully embraced in the smooth mature singer-songwriter category, supported staunchly by the media outlets that embrace such a sound. A sense of familiarity hits you right from the first track. ‘Come to Mine’ is one of the new songs and, as a general exception, is a co-write featuring Kevin Montgomery and Graham Gouldman alongside Beth. This may or may not have some link to the Back to Beth’s documentary that was heavily championed by Bob Harris, and saw a multitude of fine Nashville song writing types gather in some kind of musical house party. Either way, the new track fits the mould Beth has created and would not be out of place in a distinguished radio format. In contrast to the opener, ‘Old Church Hymns & Nursery Rhymes’ has an earthier feel and a stark reminder why Waylon Jennings cut it in his latter recording years. Familiarity with this version or not, Beth takes full control back and it bubbles along as one of the album’s leading tracks.To double up on the legendary country music icon, a song cut by Willie Nelson resides comfortably towards the end of the album. ‘If My World Didn’t Have You’ will comprehensively commit any waivers to the cause of celebrating Beth’s ability to write a pure heartfelt song. Following in the path of the opener are three further new songs in the shape of ‘Epitaph of Love’, ‘Enough for Me’ and ‘You’re Still My Valentine’. The first is a string-heavy dark number housing the album title within its lyrics, while the second is a far jauntier offering suggesting the feel good nature that emanates from her work. The finale of this trio takes the listener into laid-back lounge jazz territory complete with percussion brushes and a scripted ‘end of the night’ feel. The five remaining tracks have featured on old Beth Nielsen Chapman albums and wisdom decided that a rehashing would freshen them up, maybe for a new audience. Interestingly, these tend to reside in the second half of the running order, but unless you are digging deep for meanings, the general flow of the album coasts along without any momentum meanderings. ‘Life Holds On’ from the self- titled 1990 album is the pick of this bunch, closely followed by album closer ‘Dancer to the Drum’. In fact, all eleven tracks acutely epitomise what Beth Nielsen has been striving to achieve over all these years. What you get is a sample of smoothly constructed songs, regally sang and possessing an agenda-free aura. 2018 is set to be a celebratory year in a more than one way for Beth Nielsen Chapman. The UK - a kind market for her over the years - has been granted a comprehensive spring tour and a summer visit presently focussed on a Cambridge Folk Festival slot. HEARTS OF GLASS will prove a useful ally to remind folks, old and new, what she is capable of producing. A specific style has been honed the length and breadth of a successful career and timely reminders are more than welcome. If 2017 was the year of countless excellent Nielson Hubbard produced releases, then do not count on them ceasing anytime soon. 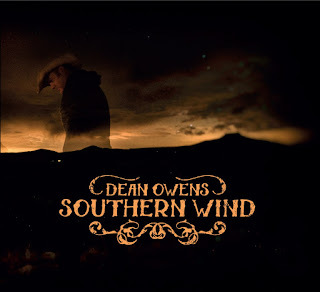 Scottish singer-songwriter Dean Owens is the latest artist to have paid a visit to this productive Nashville studio and come away with an album strong in pursuing the ideals of the originator. SOUTHERN WIND succeeds in blending the sensibilities of two nations. Distinctive song writing, often homely and personal, generally reflects the everyday surroundings of Dean, while securely placing his trust in an established posse of Nashville-based musicians is inevitably going to factor in an Americana feel. The conduit for this is the esteemed all-round performing musician Will Kimbrough, who also joins in the song-writing fray to bolster up that component. Whichever facet you wish to explore, agreement is a certainty. There is a depth and maturity to the song writing that can only really be surmountable through a degree of experience. Songs like ‘Louisville Lip’, ‘Madeira Street’ and ‘Elvis Was My Brother’ are laced with nostalgia, deeply personal in the first two and acutely observational in the third one. The implicit nature of the lyrical content helps sow the ideas conveyed. Perhaps being on the same length as the writer assists greatly, but this does not diminish the ability to pierce the outer layers of your mind, body and soul resistance. The duality of this album leaps out from the first two tracks. A good ole pub rocker kicks things off in ‘Last Song’; a track that Dean has tested in the pre-album release shows as one to harness the audience into some remnants of interaction. Title track ‘Southern Wind’ immediately follows and firmly ferments in your mind where this album is being recorded and the undoubted influence the surroundings are making. Think a little gothic atmospheric and the horizon will come into view. A slightly roughened vocal presence adds weight to the sentiment of ‘When the Whisky’s Not Enough’. What more appropriate way to link Caledonia with the home of country music, Apologies for this stereotypical observation. Less re-enforced song writing exists in ‘Anything Helps’ (inspired by homelessness) and ‘Mother’, which apparently took an eternity to complete, but further cements the personal nature that forms the Dean Owens lyrical appeal. The fact that Danny Wilson (of Champs fame) got a credit on the last song suggests the degree that Dean seems to be integrating into the wider UK contemporary roots scene recently. This may be a personal perception, but performances down south with Danny and Robert Vincent; festival appearances and a tie up with At The Helm Records all point to a greater profile than in the last couple of years at least. Obviously, for those in the know, he has been making records for many years with a strong presence in his native Scotland. 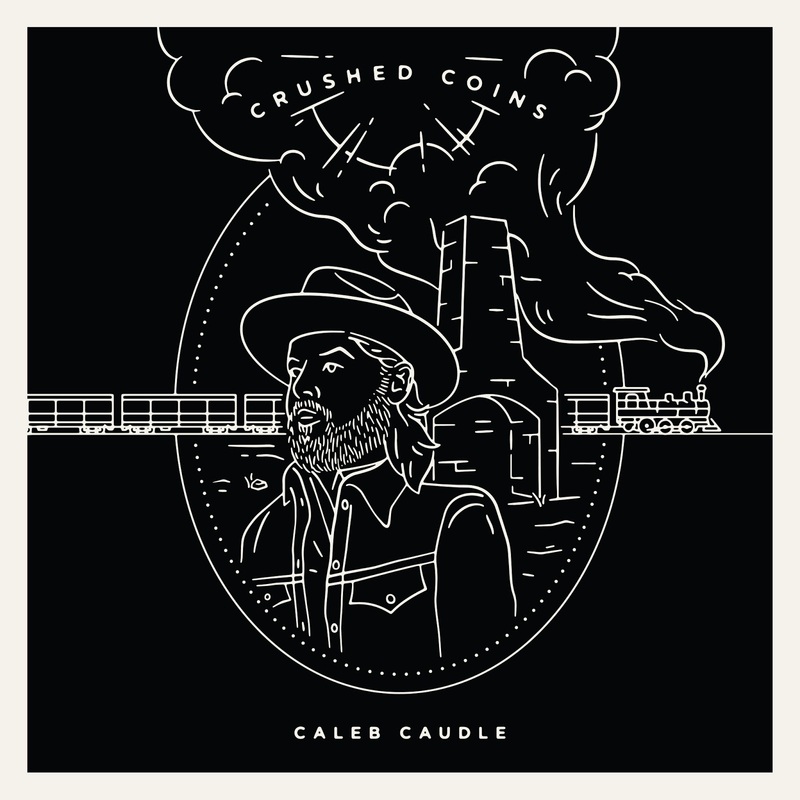 Undoubtedly, this vast experience has served him well in shoring up the quality that permeates through SOUTHERN WIND making it a valuable release for fans of serious conjecture song writing. Whether sinking into heartfelt ballads such as ‘Love Prevails’ and ‘No Way Around It’ or rocking out to higher tempo numbers like the opening segment, this album prospers immensely. A moderate temperate style tends to overall reflect the album, thus allowing the keys, strings and occasional horns to make their presence felt without dominating the literate messages, which ultimately make it a memorable listening experience. 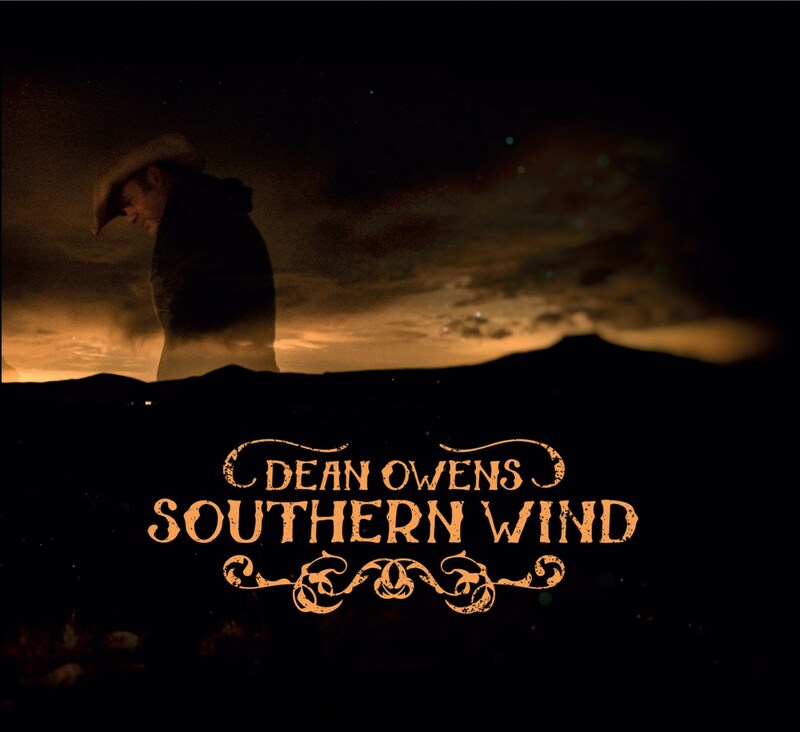 Dean Owens makes music that is impossible not to believe in. When the dust settles SOUTHERN WIND will find its own niche in the micro world of the artist’s catalogue and the macro world of a listener succumbing to great song writing. The birth of an album may not be the right time to suggest an epitaph but ‘got the message over through the esteemed medium of song’ could quite conceivably seal this record.